Let’s be honest: When it comes to your annual business conference, the real learning happens at the Breakout sessions. 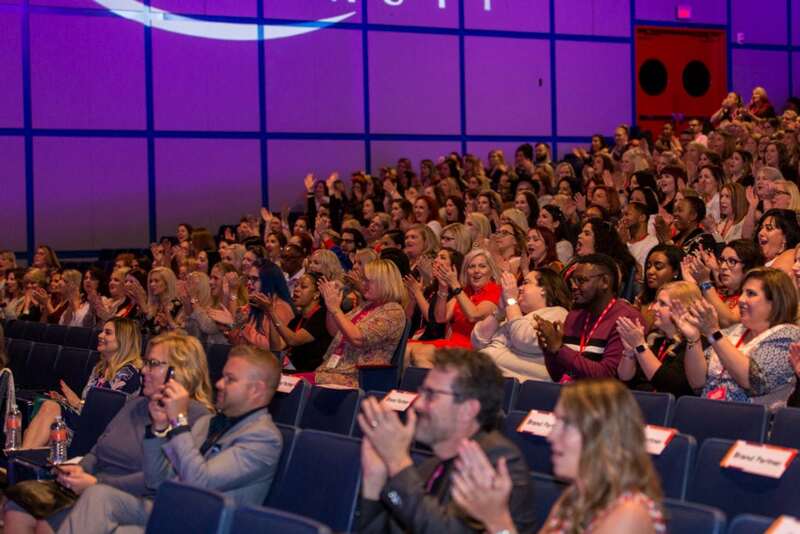 The general session might inspire and the networking may be fun, but breakouts are the time where attendees are given tactical ideas they can bring back to their work – sort of like a productivity gift bag. But like a gift bag, it’s only as good as what’s inside. If you’re skimping on your breakouts’ design and execution, your attendees won’t have much to show for their trip besides a few scribbled notes and awkward elbow brushes. No thanks. These sessions need to meet your attendees halfway and arm them with the knowledge they need to succeed. Here are fifteen essential breakout session ideas for you next corporate event. Keeping the transition short and smooth between the main lecture and the breakout sessions is vital in keeping up the energy throughout the sessions. Think about it: Sitting in a crowded room for over an hour with no energy will make anybody restless. Try having the groups pre-assigned before breaking off into the sessions, thus shortening the time between the two. Having the energy carry over from the main lecture into the sessions will keep the engagement level high throughout the entire session. Everybody knows the terrible feeling of being ill prepared for something. Don’t let that be you at your next breakout session. Have a clear framework and goal in mind for the session to make sure you don’t get sidetracked or forget your point. If you lose focus during your presentation, so will your participants. It’s the worst to get a group together and have no ideas come out of it. To fix this, have a brain teaser or interactive game ready to kick things off when participants arrive at the session. Maybe it’s just a short riddle or puzzle for the participants to solve before you begin the session. Whatever it takes, get the creative juices flowing and set the tone for the rest of the session. Most people won’t participate if they don’t know anyone else they’re with. To avoid this, make sure that everybody knows each other in the room. Have an icebreaker ready to go at the beginning of your breakout to ensure everybody gets an idea about their fellow attendees. This may spark a shared interest, job, etc. and participants will feel more comfortable as a result, therefore more willing to participate more frequently throughout session. Set the tone for your next breakout session by using an “Idea Wall”. Have the theme posted on the wall when the participants walk in where they can write down some of their ideas about the theme on a sticky note. At the end, revisit their original ideas. This will get them thinking about the theme from the very beginning and keep them more engaged throughout. It can also show how perceptions changed throughout the presentation, giving them a deeper understanding of your main point. Lots of rooms have white boards that spend most of their time collecting dust. Too bad, because these are such an awesome spot to get your audience involved. Get a few brave soldiers to stand up and write on the board. They can put up their ideas about your presentation, answer a question or even suggest something new – whatever – just as long as it gets them on their feet and makes them feel like they contributed to the cause. We get it: you’ve got a lot to cover in a limited time. Truth is, though, that particularly long breakout sessions can get exhausting. NASCAR drivers don’t burn rubber all 200 laps – they take breaks to optimize performance. If your session is longer than 45 minutes, breaking up the breakout gives people a mental breather so they can come back engines roaring once they’re done. A five minute break can be productive by giving them an idea to or challenge to think about and talk amongst themselves while they stretch. The majority of your participants might work at the same desk, in the same chair, at the same office, every day. Shaking it up a little and breaking routines creates a great environment for creativity and engagement. Put bean bag chairs or swinging chairs in the room to make the session more comfortable. In the same vein, you want to showcase intimacy at your breakout. The keynote just ended. Don’t recreate that setup in a smaller room and have them sit facing center stage. People tend to get disengaged and antisocial when facing just one person. Everyone facing each other in a round table setting might be fun instead. This will fuel collaboration even further and keep the participants more engaged is the session. The last thing you want in your breakout session is hangry, irritable and tired people. Those attributes quickly dissolve sessions toward lackluster territory. A quick and easy solution to this problem is to have snacks nearby for the participants. This will keep the participants thinking about your practical speech instead of their growling stomachs. One of the biggest event trends right now is health and wellness. It’s very important that you pay attention to this when you’re planning your next breakout session. Use various Health and Wellness Strategies to keep your participants up and moving throughout your session. Doing so will prevent them from checking out from your discussion and keep them dialed in the whole time. Everybody has a smart phone on them at all times. Use this to your advantage during your next breakout session with an interactive game or polling through the app. While this mixes things up from the same-old same-old, be wary that they don’t get too distracted and miss your main points. Believe it or not, your attendees could be using their time for a lot of other things rather than sitting and watching someone speak for an hour. You can easily re-energize the room with some fun media displays. We’ve seen tons of presenters show funny videos or relevant photos with great success if they drive a point home. As always, the idea is to make your point in the most engaging way possible. If that somehow includes your favorite Drake song, then more power to you. One big problem with breakout sessions is that participants don’t always feel involved in the discussion and that their opinion isn’t important. An easy way to prevent this from happening – let participants know at the beginning of the session that they will present their ideas to the group at the end. This will accomplish two things for your session: First, it will let them know that their ideas matter to you and your company. Secondly, it will make them more engaged in the conversation and idea creating. Finally, one of the most important aspects of any breakout session is that your participants enjoy their experience. If the participant walks away without learning anything or enjoying themselves, you have an issue on your hands. Make sure that you keep things light, fun and not too serious. At the end of the day, find the breakout session strategy that matches your brand. Tie it to your overall theme and let your participants dictate what they will learn. By including design thinking (and your people) early in the process, you’ll set yourself up for success every time.